Chicago, July 20 — Today, Heartland Alliance Health (HAH), part of Heartland Alliance, celebrates with Chicago’s Englewood community to welcome the neighborhood’s newest community health center. An acknowledgement ceremony featuring local officials and community partners, as well as a family fun fair commemorated the occasion. 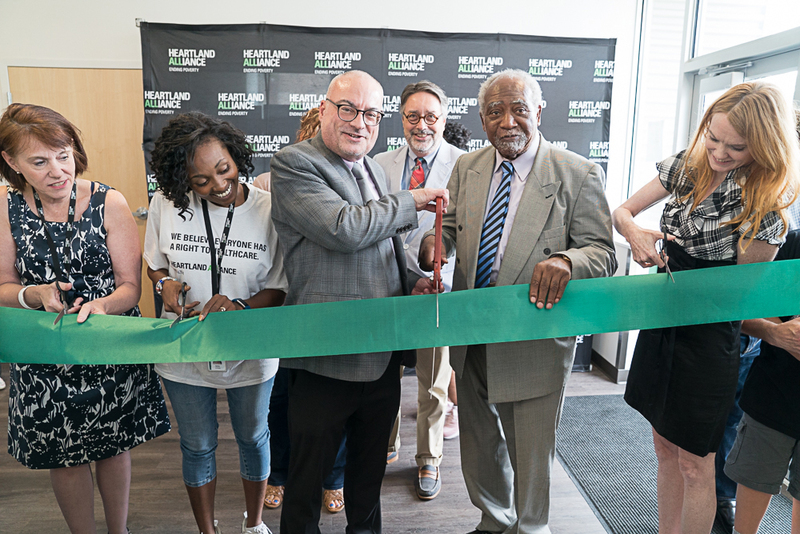 Located at 5501 S. Halsted St., the fully-operational health center opened to the public in the spring, and is Heartland Alliance Health’s third center in Chicago. The 7,900 square foot facility offers a full spectrum of services including: primary care, behavioral health/psychiatry, substance use treatment, insurance assistance, a pharmacy, lab and assistance with applying for housing through Chicago’s coordinated entry system as well as other supportive services. Showers and laundry machines are onsite and available for participant use. Heartland Alliance Health is a community health organization dedicated to transforming care for the most vulnerable—particularly people experiencing homelessness, mental illness, substance use issues or struggling with multiple chronic illnesses—improving health for all and for the well-being of our community. We believe everyone has a right to healthcare. To partner with Heartland Alliance Health, contact Katy Kelleghan kkelleghan@heartlandalliance.org or visit www.heartlandhealthoutreach.org.